Grew up… in the DiMeo crime family. Tony’s mob education was cut short back in 1986 when he was arrested for the armed hijacking of a truck. He paid his debt to society (all 17 years of it) in federal prison, an experience that he’d rather not repeat. Profession… criminal, but he wants to change his ways. In his words, “I’m gonna be a licensed massage therapist. It’s like a chiropractor, just not as prestigious.” Tony genuinely wants to start a legitimate business, much to the surprise of his mobster cousin, Tony Soprano. Of course, if going legit doesn’t look like it’s going to work out, Tony B. has some more unsavory skills he can still call on to make money – and mischief. Interests… the simple life. Now that Tony is out of prison, he just wants to live like any other normal, hardworking American. He’s done with his former life of crime. At least, that’s what he keeps saying. Challenge… making his own way. Ever since he was busted, he’s regretted going into the family business. After managing to smuggle sperm out of prison in order to help his wife conceive, Tony wants to use his time on the outside to develop a relationship with his identical twin sons, Jason and Justin. Personality… smart and cunning. 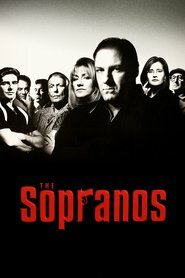 Tony still holds a grudge against his cousin and friend, Tony Soprano, who was supposed to accompany him on the failed hijacking that sent him to prison. In the interim, their respective fortunes changed dramatically. As Tony Blundetto put it, “It’s hard to believe, my cousin in the old man’s seat” as head of the family. If life on the outside takes a turn for the worse, it’s not hard to guess whom Tony Blundetto might blame. Tony Blundetto's popularity ranking on CharacTour is #3025 out of 5,000+ characters. See our top-ranked characters and read their profiles.